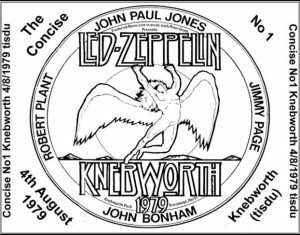 The anniversary of Led Zeppelin at Knebworth always resonates that little bit more when it falls on the actual days –as it does this year. Saturday August 4th –just writing that date sends a tingle of excitement because that is the day when it all occurred back in that field just outside Stevenage all of 39 years ago. 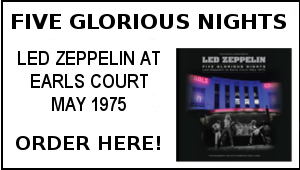 On Saturday I, and thousands of other fans will no doubt be thinking back to that glorious day in the summer of 1979 when finally, after all the waiting, Led Zeppelin were back doing what they did best – performing live on stage. 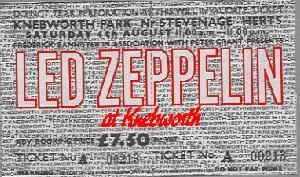 With each passing year, the Zep Knebworth legacy grows that little bit more important as they really were some of the days of our lives. 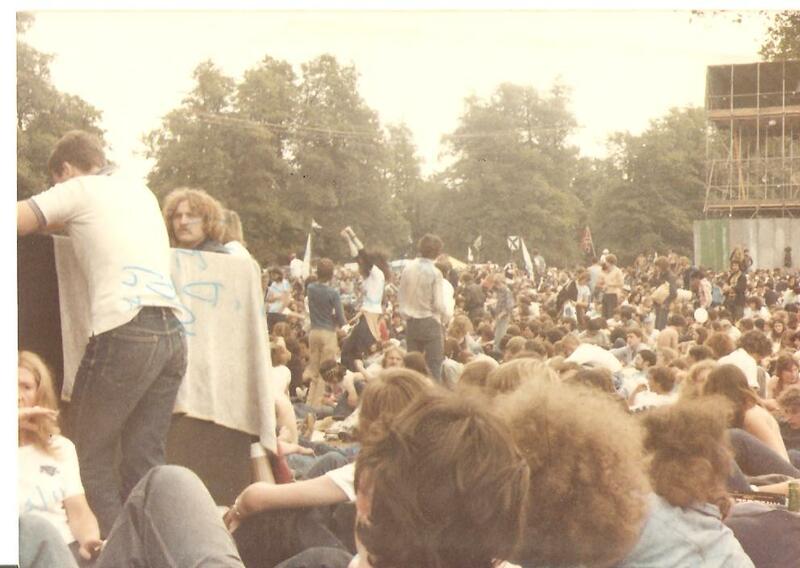 The memories of those golden August days of an English summer 39 years ago grow ever precious with each passing year. Dave Lewis, Bedford, England – August 2009. 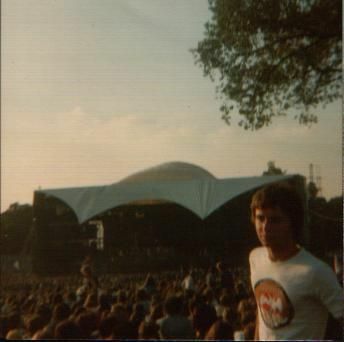 Taken from the book Led Zeppelin Then As it Was – At Knebworth 1979.
if you are reading this and were there…you need the book! 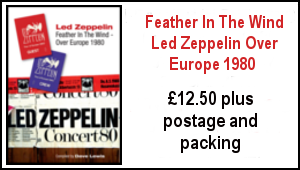 The “Led Zeppelin Live” photography book edited by Dave Lewis was released this week. 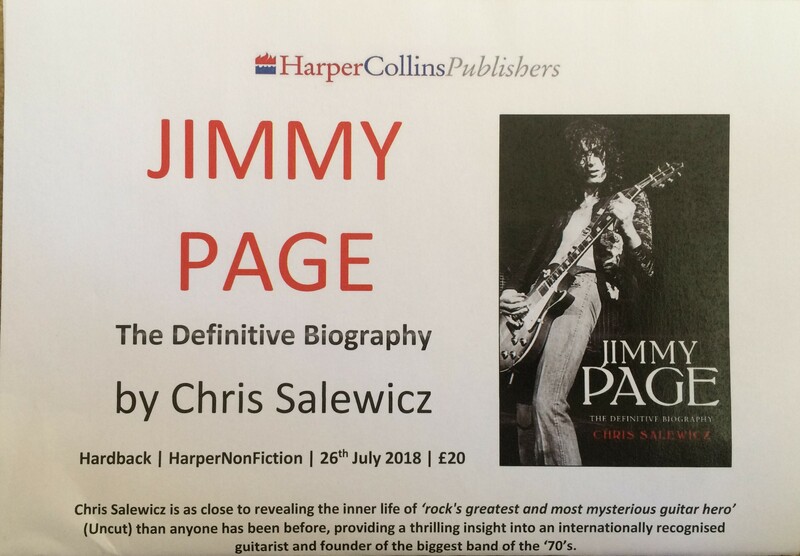 Chris Salewicz’s biography of Jimmy Page was released this week. Read an extract from the book here. 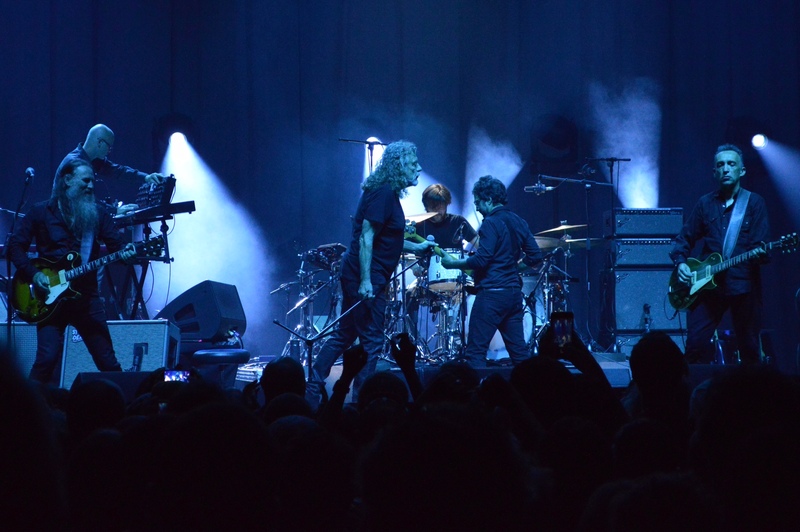 Earlier today, Plant played at the Stimmen Festival in Lörrach, Germany, but no setlist has been published yet. Robert Plant was interviewed by Le Figaro. The interview is in French and mostly behind a paywall, though. On July 23, Robert Plant’s official YouTube channel uploaded four live Page and Plant videos from the Amnesty International concert on December 10, 1998. No other Page and Plant videos have ever been posted from that channel. It’s a warm summer evening in the French capital and a few minutes walk from the famous Arc de Triomphe, Robert Plant is about to take to the stage. I’m fortunate that tonight is my 9th Plant gig in 18 months. From hearing him sing Kashmir at the Royal Albert Hall, to watching him join Brian Johnson and Paul Rodgers on stage, to being in the audience for October’s BBC session, attending a bunch of UK dates and now seeing him tonight in France. This evening’s gig is at the intimate Salle Pleyel theatre which holds 2000 fans. Its 9.30pm however and Plant and band have still not arrived on stage. The French crowd are getting restless yet as house lights dip and he walks on stage, dressed in black t-shirt and black leather trousers, the Parisian crowd roar their approval. An opening trio of newer material doesn’t phase the audience at all and they lap up every minute of New World, Turn It Up and May Queen. “Bonsoir Paris, we’re from England…and we used to be in Europe!” With banter about Brexit and Trump as well as complimenting the crowd on France’s World Cup win, Robert is on top form telling stories and weaving in and out of speaking French. 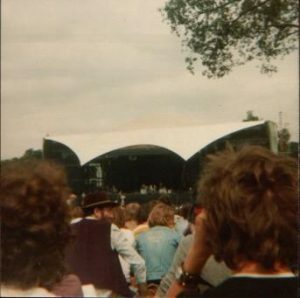 A rare appearance of Black Dog in the set follows and notches energy levels of the crowd even higher. Although the arrangement is new his strength of vocal is identical to the way I watched him sing it at The O2 with Zep in 2007. Plant is satisfyingly loud and the band rockier than ever. The crowd absolutely adore it. A thrilling Rain Song follows and to hear Robert belt out “I felt the coldness of my winter, I never thought it would ever go, I curse the gloom that set upon us, ‘pon us, ‘pon us” sends shivers down the spine. I can’t be the only one who loves this song as judging by the sudden glow of mobile phones held in the air, the whole audience is capturing this special moment. Please Read The Letter is introduced by Robert as “written by two songwriters from England” before Gallows Pole romps across the crowd. Whatever its arrangement it never fails to get an audience going. “We have a new disc out” Robert says ahead of the flickering, desert intensity of Carry Fire before Babe I’m Gonna Leave You once again showcases Skin Tyson to wonderful effect. Next up Little Maggie and although not my cup of tea, the crowd clearly love its Bristol trance vibe. 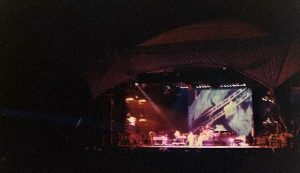 The main set then closes with Fixing To Die energising the crowd with Justin Adams show-stopping guitar tour de force. As the ecstatic French audience stream out into the balmy summer evening I overhear some younger fans in Greta Van Fleet t-shirts excitedly say ‘C’est fantastique!!!”. Zep’s 50th anniversary may be just around the corner however its clear a new generation of fans are checking out Robert Plant gigs and loving every minute of it. 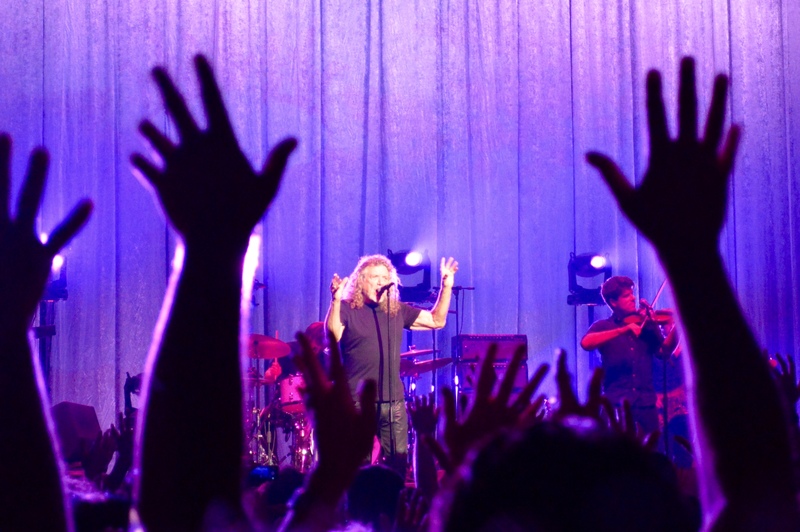 And this is Robert Plant in 2018: playing live in front of fans all over the world, making new music while still cherishing the past. Part explorer, part maverick, part Golden God. And judging by both Robert and fans reaction tonight in Paris, this is a band of joy. 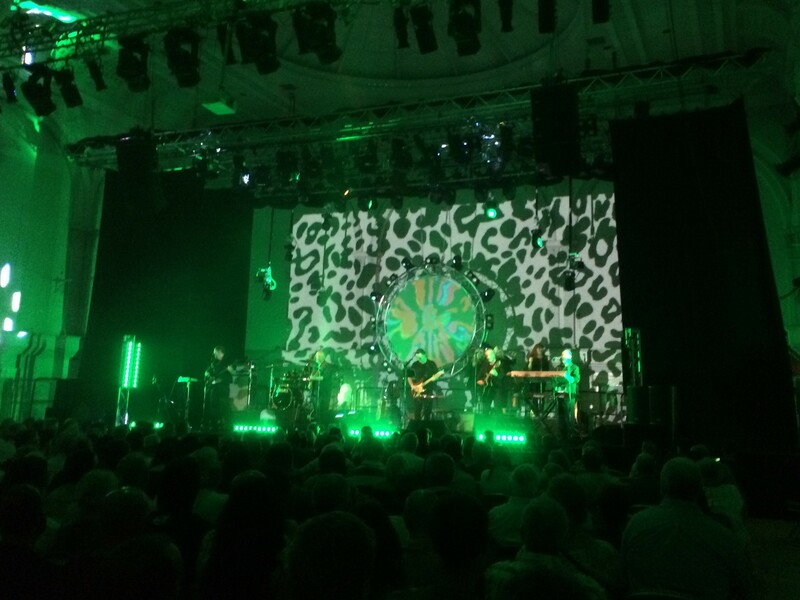 The Floyd Effect did themselves and the legacy of Pink Floyd full justice last night at the Corn Exchange in Bedford. 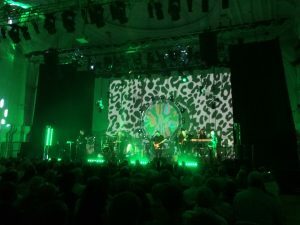 Opening with selections from The Division Bell album, the superb lighting and back drop visuals – combined with the impeccable delivery of the music, set the template for the evening. A soaring Shine On You Crazy Diamond was another of many highlights. This one I’ve been hearing about for a while and it’s quietly come on the market – Chris Salewicz is a respected music writer he did some fine work for the NME and Let It Rock magazine way back. 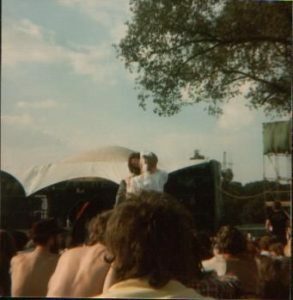 Chris conducted the extensive pre Knebworth interview with Jimmy for the NME back in August 1979. Now comes a full scale Jimmy Page biography – all 560 pages of it. 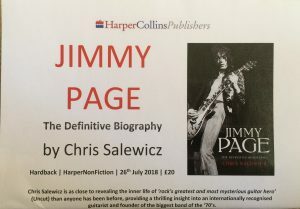 The press blurb proclaims ”Chris Salewicz is as close to revealing the inner life of ‘rock’s greatest and most mysterious guitar hero than anyone has been before providing a thrilling insight into an internationally recognised guitarist and founder of the biggest band of the 70’s’. I’ve just began reading it – the introduction hones in on a detailed account of the notorious Oakland July 23 1977 backstage row. Plainly this book is not going to be for the faint hearted. The phrase ‘warts and all’ quickly springs to mind. The jury is out right now on the merits of this extensive biography as I am only on page 24….more on this when I’ve waded through it. This photo of myself with Keith Moon was taken at The Who Exhibition launch at the ICA in London on August 1st 1978 – all of 40 years ago. 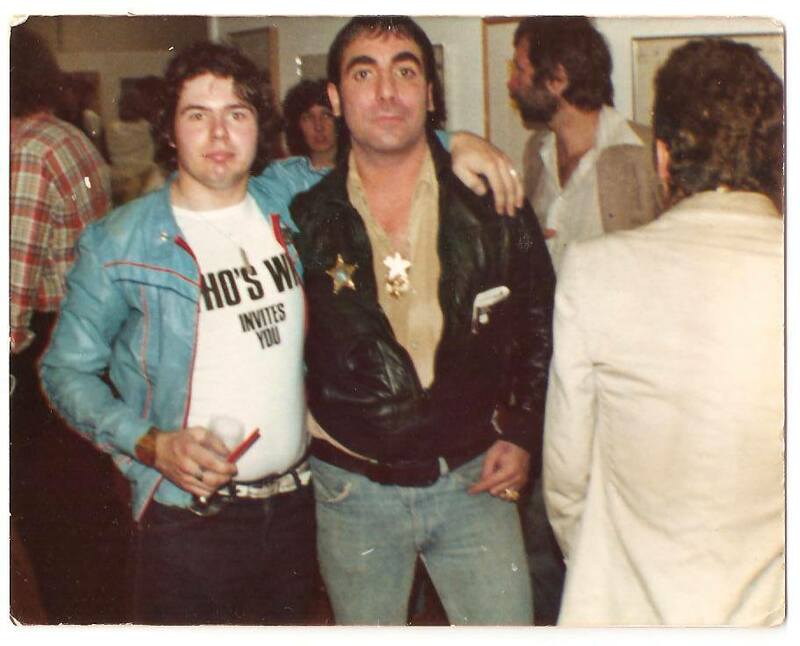 My very good friend Dec is just to the left in the check shirt behind me – to the right is Richard Barnes long time Who associate and the late great Ian Dury is in front of us. Keith was in good spirits that day as he looked around the exhibition – I remember he spent some time looking over his famous Premier Pictures Of Lily drum kit that was set up in a stage area. It’s so tragic that a little over a month later he would pass away. Incidentally I am wearing the same jacket I had on when I leapt on the stage at The Who Shepperton filming the previous May. In fact the producer of the film Jeff Stein was in attendance that day and told me my leap onto the stage was in an early cut of the Kids Are Alright film they had made. The exhibition itself put together by various Who fans including Irish Jack Lyons was way ahead it it’s time. Long before the Bowie/Floyd exhibitions at the V and A, this Who presentation was incredibly illuminating. 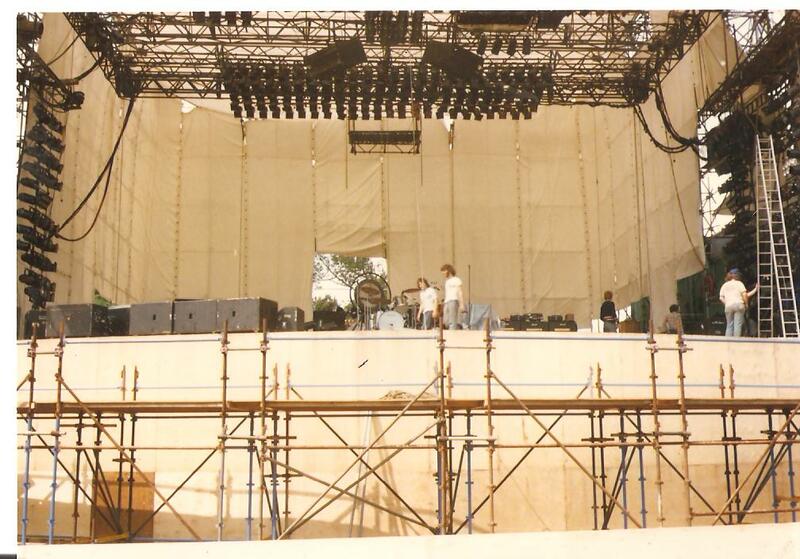 Alongside stage clothes, gold discs, rare art work it etc. It featured the then rarely seen footage of The Who at the Isle of Wight festival in 1970 and at Charlton in 1974. The Beatles – Sgt Pepper’s Lonely Hearts Club Band – Deluxe CD set. Busy here on various projects including the extensive Record Collector feature Mike Tremaglio and I have formulated – more on all that soon – there’s also been some initial design work on the forthcoming TBL issue 44 and various other things to get moving – August is here and there’s a lot to do…. Thanks for getting back in touch Pat your story is epic! I’d like to thank Bill Cromwell, Hiroshi and Dave Linwood for their kind comments on my write up of August 4th. It was Dave Lewis who published it on receipt a couple of years back, unedited, warts and all. I sent him my story with no real hope of any feedback and was delighted when Dave emailed me to inform me he was posting it on the TBL website. Frankly, it was such a rush to get a stamp of approval from Dave who I have admired from afar for many years for his unstinting faith in all things Zep. 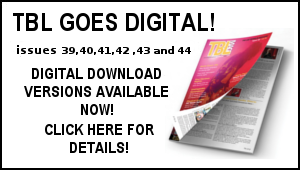 I was abroad when it was published and remember clearly having to drop a Euro into a coin operated PC at a hotel in Grand Canaria to see it on TBL in August 2017. Who was with me? My long suffering wife, Tina! 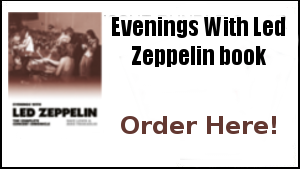 Being a Zeppelin fan can be a tough ride. We all carry a torch for each (living) member of the band and endure the ups and downs of their post Zep evolution but we keep rooting for them don’t we? Knebworth was a great experience. I tried to to tell my truthful story and am delighted to see that it resonates with other fans. 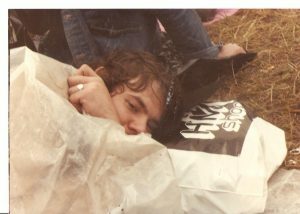 Oh to be 20 years old again! I, too, enjoyed Pat’s candid reflection. I was too young (15) to offer a critical take at the time. It was like I was on another planet, though, and anything they did was magic. Who was I to judge? 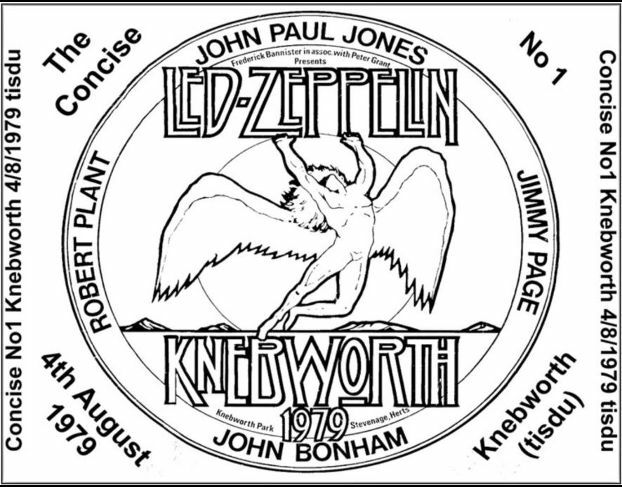 I hope we see more ‘official’ Knebworth material at some point. 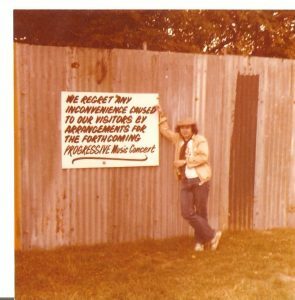 As noted elsewhere and everywhere, August 4th, 1979 is one of the highlights of my life and a claim to fame to having seen them. Next time the family is out of the house (wish it were this Saturday night! ), I’ll pop in the full performance dvd I own, pour a beverage, and return to the Knebworth field and an important slice of my past. Cheers, everyone! 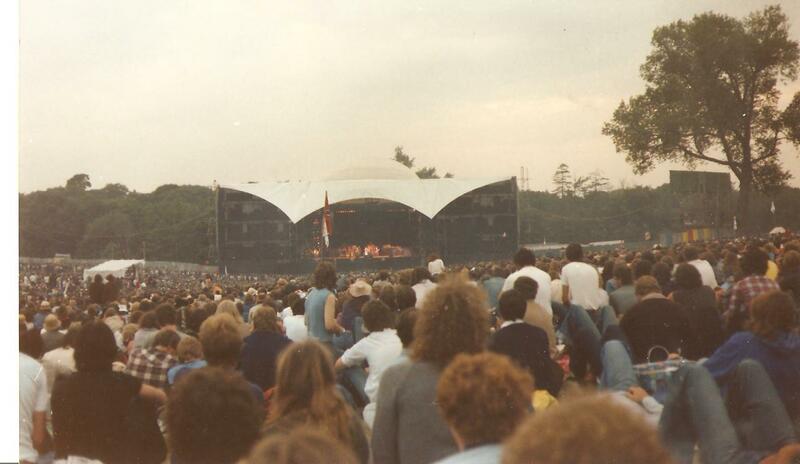 I’m SO impressed by Pat Mount‘s detailed recollection of Knebworth. 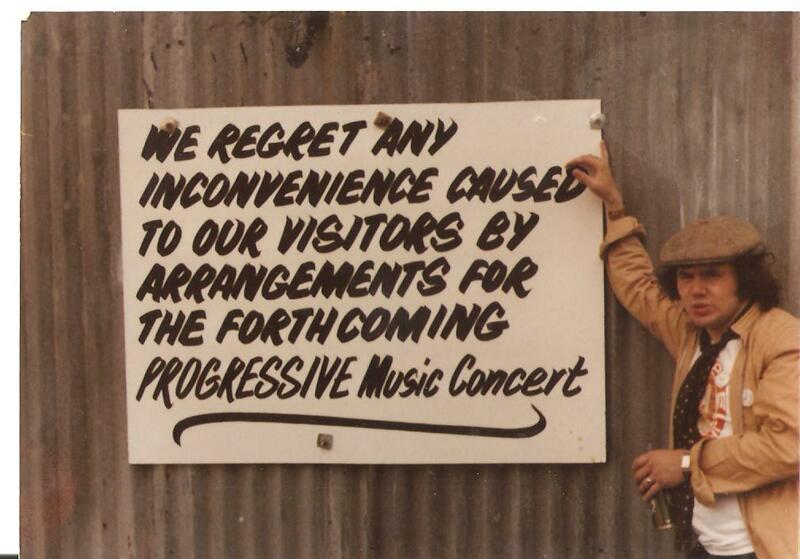 A candid, honest and sometimes outright hilarious observation on this historically significant but musically flawed event, and one of the best writings about what it was like that has ever hit both physical/digital medias. A true epic indeed. And a great sense of humor, too — I had a good laugh from time to time, which helped me wade through this long piece. Largely undermined — somewhat unfairly — by the press in the post-punk Britain in real time, this celebrated yet maligned final appearance of the group on their homeland, however, has somehow since found a route to reassessment over the years, especially since a good-quality video/DVD of the whole document of the August 4th show became available through the underground circuit. The 2003 official DVD also contributed to its reappraisal. The problem is, Knebworth was so underrated back then it is now more or less overrated — understandably so as reactionary factors are involved in there— to the extent, for example, someone I came across on the renowned internet Zep forum praised it as one of the greatest-ever Led Zeppelin shows or to that effect, a notion I find I totally fail to have a grasp of. 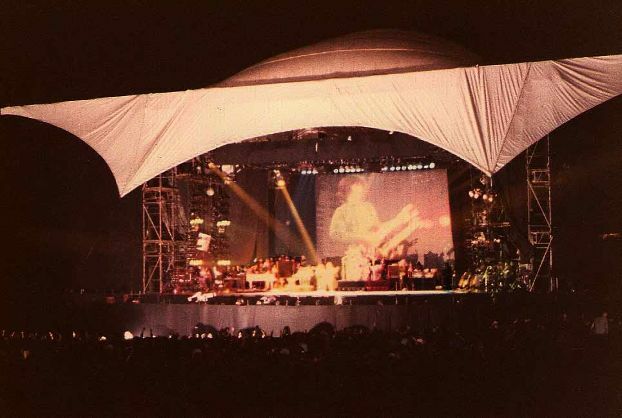 Pat’s take on the event is a fair eyewitness account by someone who was enthusiastic and so immersed in the moment but without rose-tinted glasses. A great read and good antidote. Having read the Jimmy Page biography from cover to cover over last weekend, I have to say that they overall impression it left me with was supreme disappointment. It concentrated on the salacious side of the story and appeared to be to be re-hashed stories we read before in any number of books, by Pamela Des Barres, Bebe Buell, Steven Davis, Mick Wall, Barney Hoskins etc. 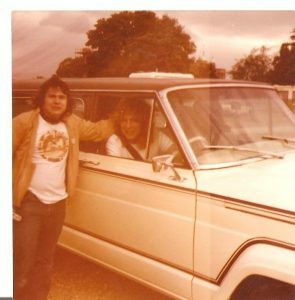 There was nothing new to learn and a great aspect of Pagey’s life since 1977, just basically washed over in a haze of drink and drugs. No real insight into anything he’s undertaken, his work in Brazil, efforts in the re-mastering. He’s been divorced twice since he separated from Charlotte. What did we learn about Jimmy that was insightful, nothing. He went down on a groupie in 1974….big deal. How Jimmy has dealt with the lack of a Zep reunion etc is all down to Planty having control, like Peter Grant said he always wanted. Wow. No insight into what has gone on, just scratching the surface and concentrating on issues that have been done a million times. If you want to learn about one of the all time great guitarists, how he writes songs etc, this one is probably not for you. 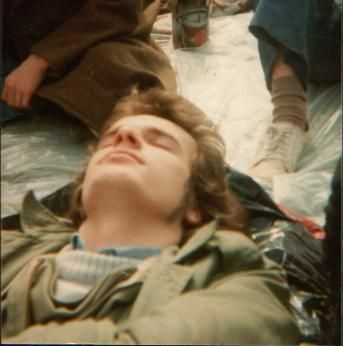 If you are interested about a bit of chat about the Riot House 45 years ago, get on with it. I agree entirely regarding CD’s. I love them. The music industry did themselves a huge disservice when they rushed out as much as they could on CD as fast as they could when the format was first introduced in 1982. Most of it came out so fast that they didn’t even take the time to listen to the tapes before they transferred them to CD. The sound levels were so low and noise levels so high, that it all sounded like crap. Because of that CD still suffers from a reputation of bad sound quality, when all the time it was the rush to get as much out as fast as possible that was the problem. 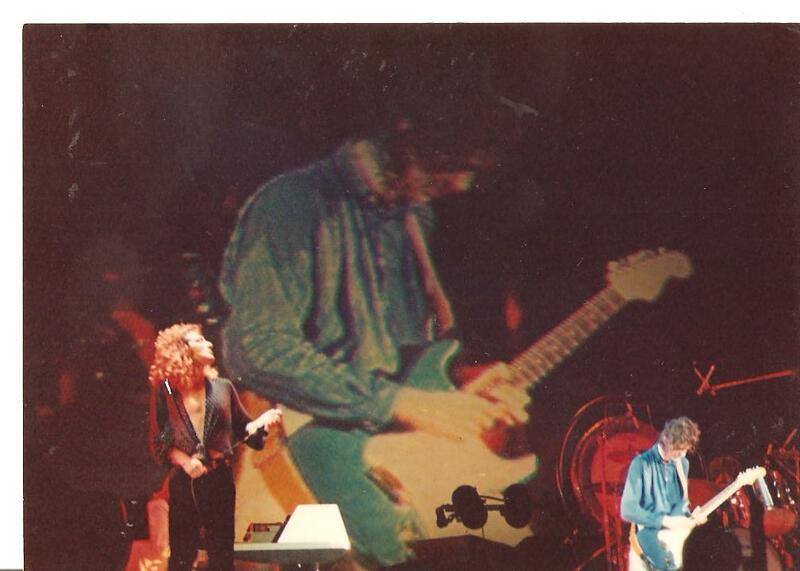 I remember lamenting how bad all of Led Zeppelin’s CD releases sounded all the way until 1990 when Mr Page finally took it upon himself to ‘remaster’ the entire Zeppelin catalogue, eight years after the first CD releases. Now, 36 years after the launch of the CD, we are well and truly entrenched in the ‘remaster’ culture. 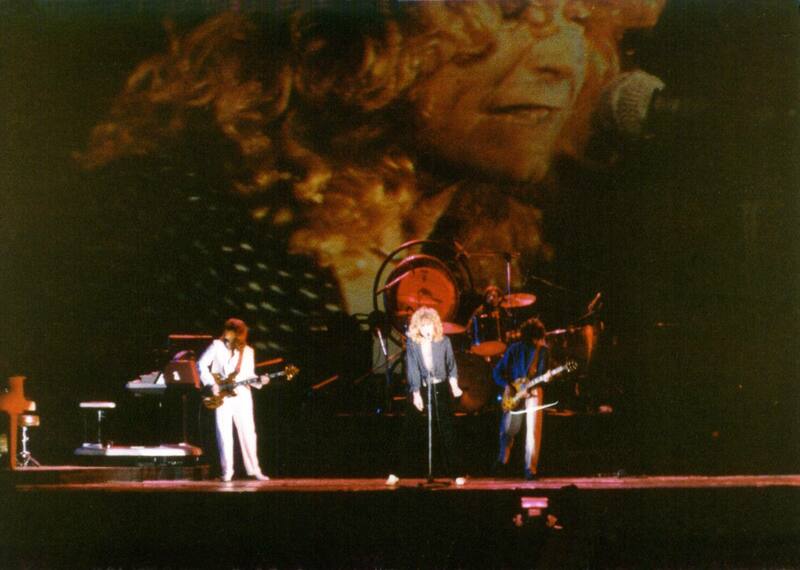 Led Zeppelin’s catalogue has been ‘remastered’ twice more since 1990. This is our legacy from the introduction of the CD; recordings are now constantly remastered to ‘improve’ their sound, but ‘remastering’ never existed before the advent of the CD. It was only necessary because most of the early CD releases were rushed out and sounded like crap, and HAD to be redone. The music industry of course loved this, because it gave them the opportunity to sell the same material on the same format twice. Now they’re still doing it and we’re stuck in a loop of endless remastering. Terrific write up by Pat Mount. I laughed out loud at some of the bits in the story (75p Cokes? Outrageous!). We sat roughly in the same area as you so the night shots bring back a lot of memories. We WERE prepared. We brought in 5 Litres of water….and spent the last hour of the show ABSOLUTELY BURSTING…! !